I admit that the idea of a Silver Surfer on-going, even with the formidable talents of Dan Slott and Mike Allred, was one that I looked at with skepticism. I never felt like Norrin Radd was so much a character as a shiny guy who looked cool on a surf board. Obviously he’s got something that helps him to endure though, and with top-notch talent at the helm it would be foolish not to at least check out the first issue, right? Well, I can say that I’m happy that I did as Silver Surfer may just fill a void I forgot I had in my monthly reading. 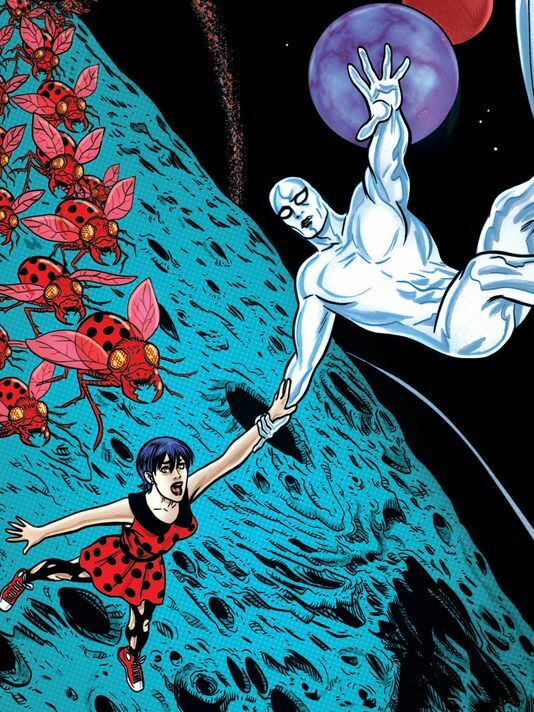 The story of Silver Surfer #1 is told in parallel between Radd and a human woman named Dawn. The Surfer is cruising the universe helping “people” in order to atone for his time as the herald of Galactus. We see him rekindle a micro star to help a civilization of tiny mud people, only to suddenly become the object of their worship. Radd, of course, doesn’t want to be anyone’s god, and so leaves to find others in need. Dawn, on the other hand, works with her father at the family bed and breakfast in a place called Anchor Bay somewhere in New England. Her sister travels the world and can be a little obnoxious about it, and while Dawn has professed Anchor Bay to be the greatest place in the whole world, there seems to be a sense of restlessness about her. On the other side of the galaxy, the Surfer is recruited to be the champion of a place called the Impericon, which seems like Disney World if it took up several adjacent worlds. Being a champion of the Impericon, however, comes with a price: they have a nasty habit of kidnapping the person you value most as collateral. For the Silver Surfer, however, the Impericon chooses none other than Dawn–plucked right out of the B&B–and the mystery to be solved will be why Dawn when the Surfer has never even met her. Silver Surfer is cute and quirky in a way that no other book has been since FF with Matt Fraction and Mike Allred ended. It takes a wonderfully whimsical look at the universe and the absurd things that could exist out there. At the same time, Slott does a good job of beginning to establish the Surfer as more than just a shiny dude on a rad board. He’s tortured by his past and he only wants to help, but he’s still a little green around the gills where some things are concerned. I honestly couldn’t help but feel like this whole story was like a lost episode of Doctor Who, complete with companion and lonely alien. I’m not going to say that this is a bad thing, by any means, but I think it can only last so long before it starts to wear out it’s welcome. Time will tell. Allred’s art only seems to get better and better, and I’m so glad to see him back on an ongoing title. He portrays the cosmic aspect of Marvel like no one else, and it comes with an absolutely undeniable charm. And, as always, Laura Allred’s colors are a perfect match for Mike’s art, and the time that the two of them must have put into just the two-page splash of the Impericon is staggering to me. I can’t wait to see more from them. Wait and see. It’s hard to recommend this book to everyone out there just because it seems to cover a pretty specific set of tastes. Just because those tastes happen to coincide entirely with my own doesn’t mean that everyone will love the book. If you’re an Allred fan, this is a no-brainer. If you miss the quirky fun of FF, come on board. 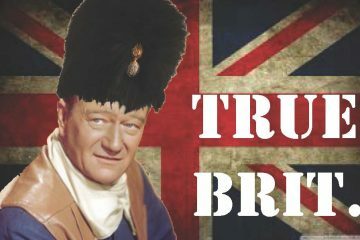 If you’re a Doctor Who fan, you should also check this out. But, if none of those venn diagrams overlap your own, maybe you should approach this one with just a little bit of caution. I personally will be checking out issue two, and I have no reason to believe that it will get less quirky, weird, or fun.